Often, fans of flowers point out the bright hairs that dot a nug. 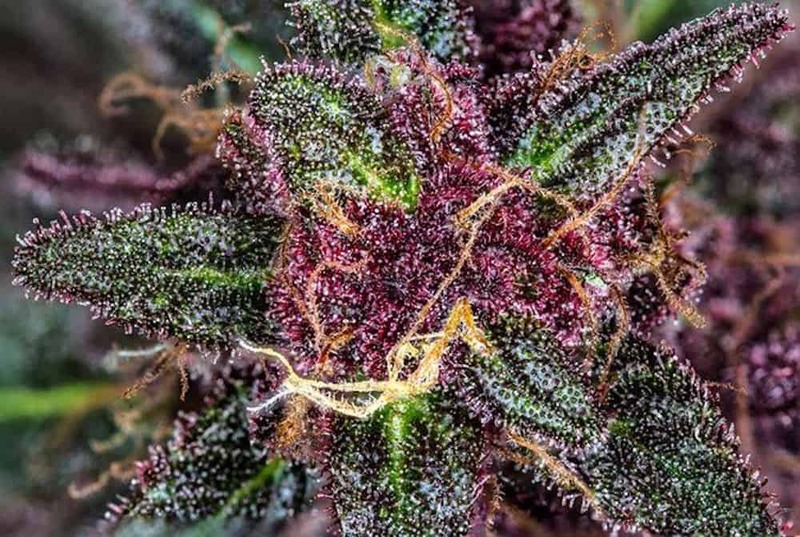 Like the fire you set to this bud, its hairs are a vivid and bright red. And the bud is so peppered with these striking hairs, the bud looks almost entirely red, like a juicy strawberry. Unfortunately, this delicious sativahas a lengthy flowering period so it gives disappointingly low yields. Its rarity makes it so this energizing and happy strain is more and more a nostalgic high for those that think of this as one of the best colored weed strains. Thousands would rush westward if they knew this golden colored strain could be easily mined. This old school golden oldie has maintained over 20% potency without the help of modern science controlling it. Not only that, but this strain making the list of most colorful weed strains claims fame as a purebred sativa. This is an amazing feat considering hybrid-dominated genetics. To top off this 24K strain’s positive attributes, it promises a heady albeit productive high that still helps with body pains. Better than a gold ring, winning Acapulco Gold in a rose blunt would serve well as a thoughtful, colorful, and romantic gift for any weed lover.